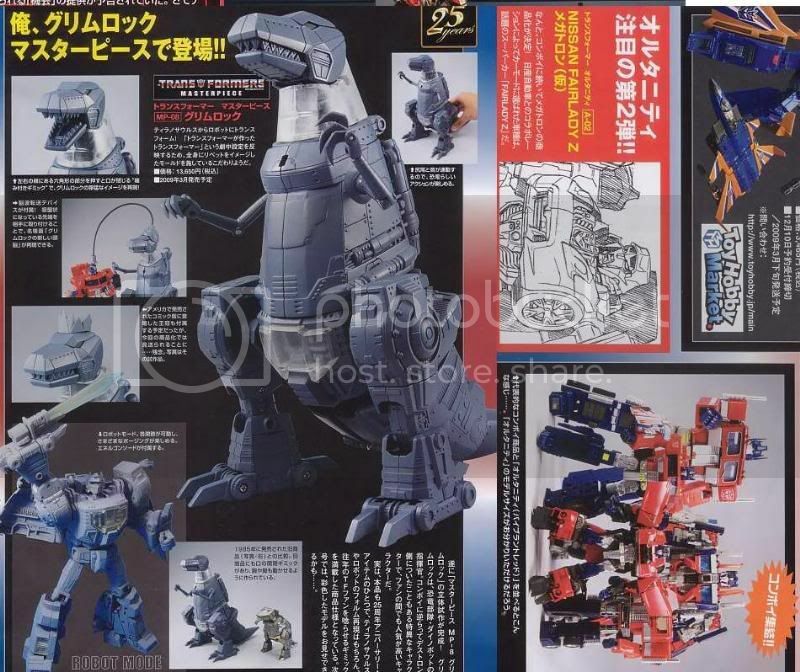 Another magazine scan, but this time giving us a clearer look at Masterpiece Grimlock’s heigh, with a comparison his his G1 toy. There are also shots of the crown and mind swap device. Thanks to forum member dejavufor the scan. This is the most awesome thing I have ever seen. I want one of these now. Anyone ordering a crate on the forum? I’m in for one!